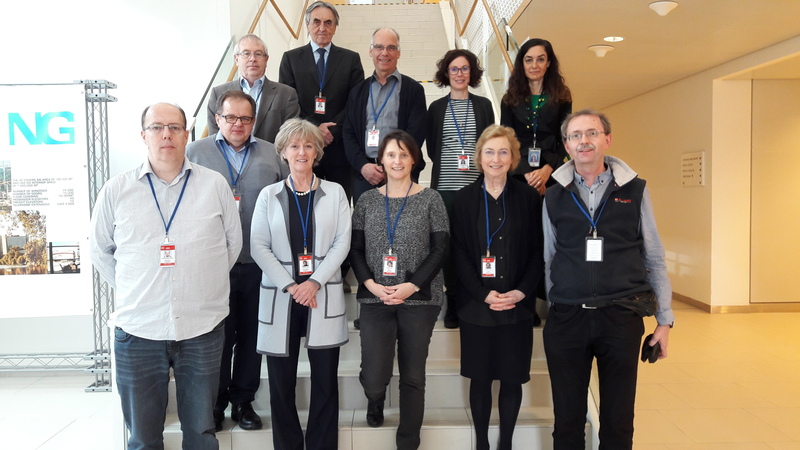 The EUTERP Workshop 2019 Programme Comittee met today in Vienna at the IAEA headquarters. The members are the EUTERP Board and the immediate Past-President, Richard Paynter (third on the left), Markus Buchgeister (EFOMP E&T Committee) on the right-hand side, Amparo Cristobal (IAEA), standing just behind Markus, and Eduardo Gallego (IRPA) who joined the Committee using the IAEA’s video conferencing facility. The IAEA and the IRPA are cooperating with the Workshp.